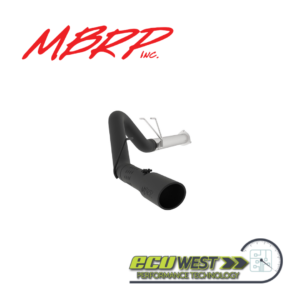 Black Series™ Aluminized Steel DPF-Back Exhaust System (S6032BLK) by MBRP®. Exhaust Type: DPF-Back. Exhaust Tubing Material: Aluminized Steel. Main Tubing Diameter: 4″. Exhaust System Sound: Moderate. Black is the new chrome, they say. And it’s hard to argue with the compelling look of a “murdered-out” custom car or truck, with every piece of brightwork done in black or flat black. 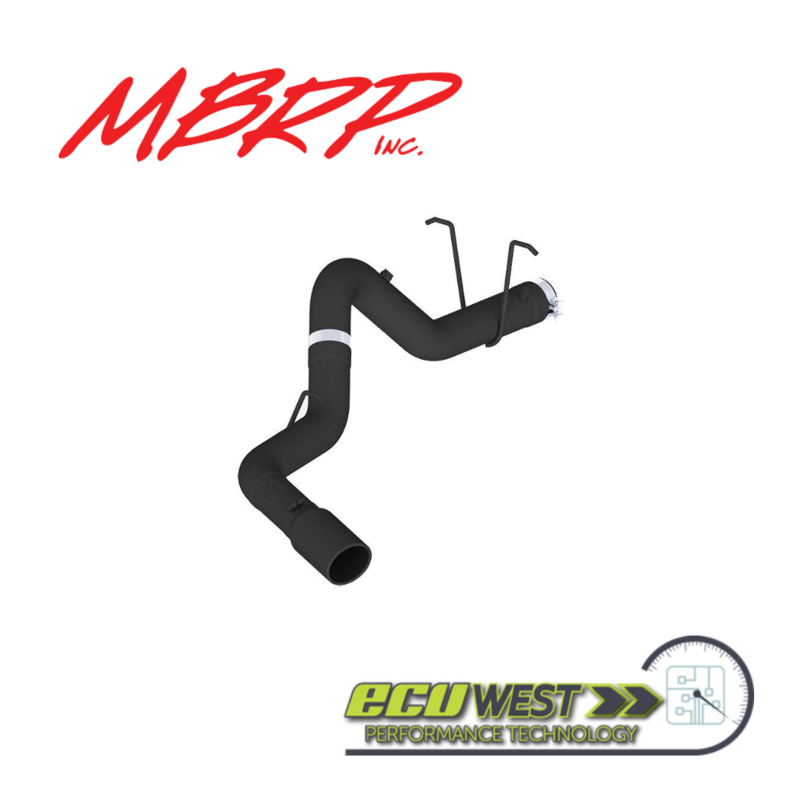 MBRP has the final touch for your diesel truck; a blacked-out exhaust system that not only looks great but delivers more power and torque, and improves mileage at the same time. Look far and wide, and you’ll have a hard time finding a black exhaust system. And it does not matter what it says on that spray can of high-temp black paint you were reading at the auto parts store last week, it is not long-lasting. The only way to achieve a true black finish on an exhaust pipe is to bake it on before assembly. 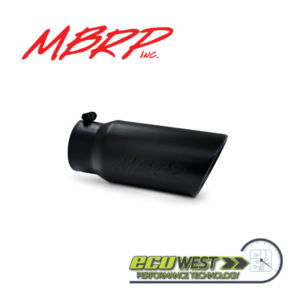 The high-heat black ceramic coating on MBRP’s Black Series is warrantied for a full year. But there’s a second compelling reason to give your truck an upgraded exhaust system: the performance. The free-flowing your exhaust system is, the less energy is needed to push exhaust gases out past the turbocharger and out of the cylinders. 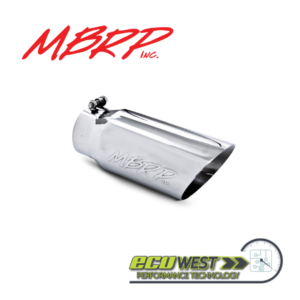 Better yet, a low-restriction exhaust leaves less residual exhaust inside the combustion chamber at the end of the scavenge cycle, which allows more air in during the intake stroke. And more air means more power, especially if you’ve added more fuel with a tuner or some other mod.